Share information among features in Oracle Mobile Application Framework. Oracle Mobile Application Framework is the successor framework to Oracle Application Development Framework Mobile (Oracle ADF Mobile) for building on-device applications for iOS and Android platforms. 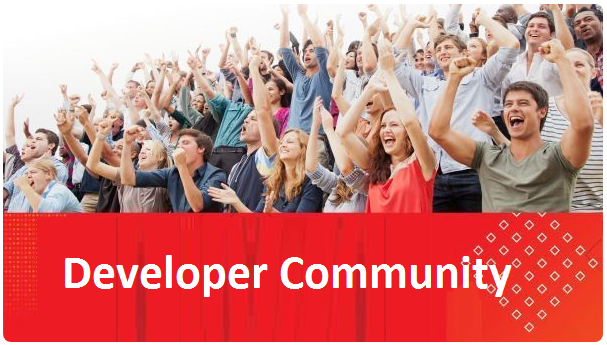 This article steps you through one way to perform a common developer task in Oracle Mobile Application Framework: sharing information among Application Mobile XML (AMX) features. A feature in Oracle Mobile Application Framework is a unit of work—a single piece of application functionality that users can access from the mobile application springboard. An example of a feature is a product catalog in which users can query and select items to buy. AMX is one of three technologies that you can use to develop features in Oracle Mobile Application Framework. Oracle Mobile Application Framework mobile applications can be developed in Oracle JDeveloper with the Oracle Mobile Application Framework extension, or in Eclipse with Oracle Enterprise Pack for Eclipse. In this article’s hands-on exercise, you’ll use Oracle JDeveloper and Oracle Mobile Application Framework to implement a customers feature that shares information about the selected customer with an orders feature. Figure 1 shows a simplified architecture diagram for Oracle Mobile Application Framework. A mobile application built with Oracle Mobile Application Framework is compiled into a platform-specific container that is then deployed to a mobile device. From the perspective of the device, the container makes the application appear to be written in the device’s native OS language (Objective-C for iOS or Java for Android). Read the complete article here.